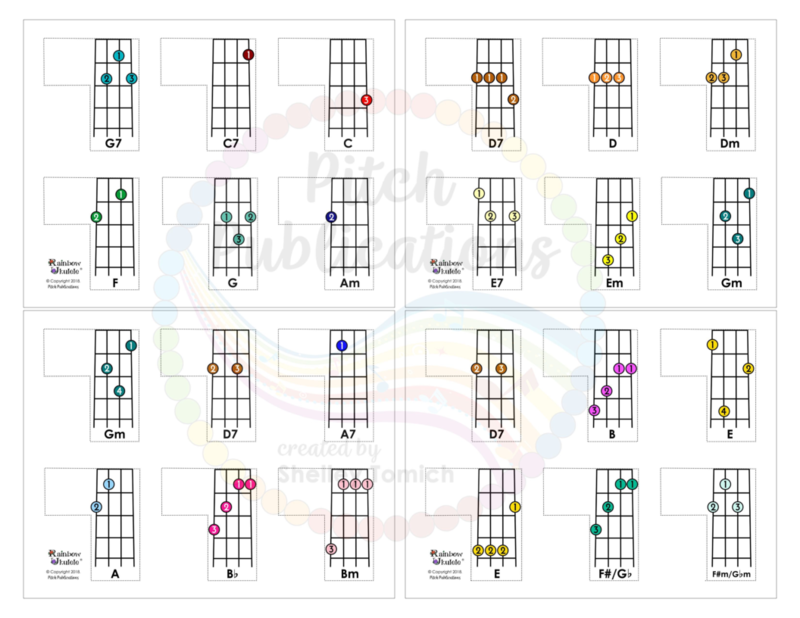 This resource provides an easy way to help students to find the proper chords on the ukulele. 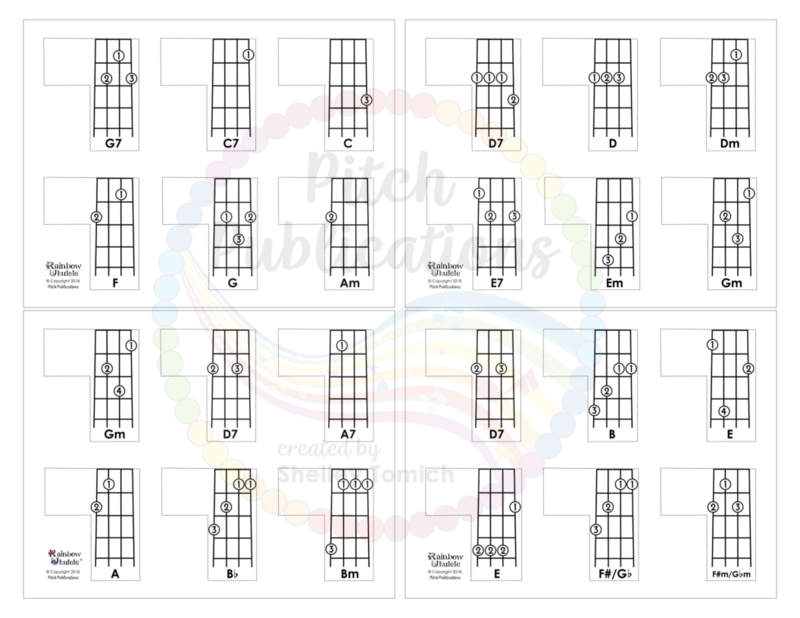 These printable fretboard charts slide underneath the strings to show students where to put their fingers when playing chords. 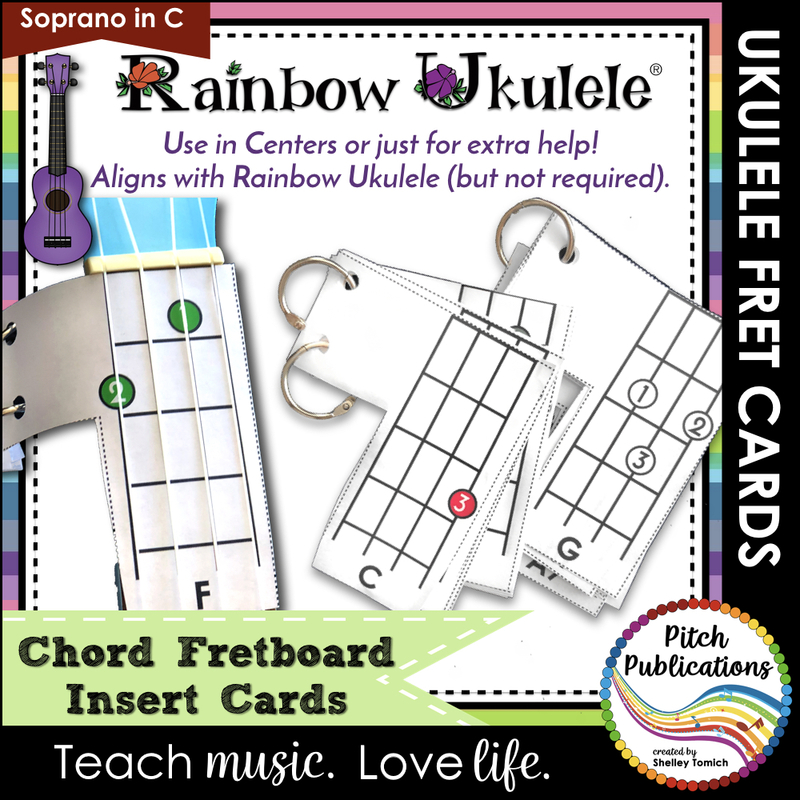 Fretboard chord inserts fit most soprano ukuleles. Includes the following chords: C; C7; D; D7; Dm; E; E7; Em; F; F#; F#m; G; G7; Gm; A; A7; Am; B; Bb; Bm.